3. Alternatively, user is allows to move the partner group by click the icon at the right site of the screen. *Note: Please make sure that don’t have any products assigned under the particular forecasting group, or else it will move to unassigned group automatically. 2. 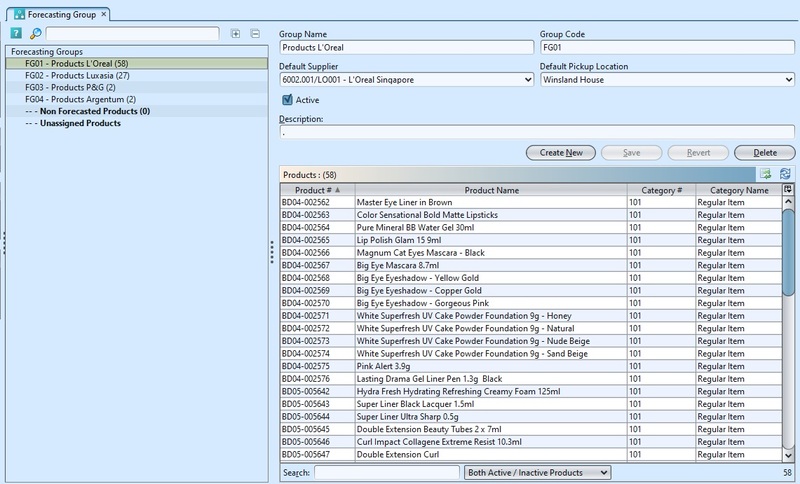 The drop down menu Both Active/Inactive Products allows the user to select and work with the statuses of the products. 3. Right click on assigned products in the bottom right table to open and view it’s details.